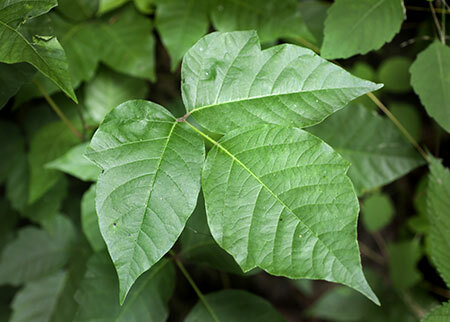 When someone suddenly experiences severe itching and pain on their arms, hands legs or feet while they are gardening or hiking outdoors, the first thing you might think of is poison ivy. This common plant can cause itching and excruciating pain upon contact, but you will not be able to avoid it if you are not familiar with the plant. What does poison ivy look like? Here is some information about poison ivy and how to deal with the skin rashes caused by it. What Does Poison Ivy Look Like and Where It Usually Grows? Poison ivy is a green leafy plant that typically has clusters of leaflets that appear in groups of 3. It has shiny and smooth leaves, the color and shape of which may vary from red to light or dark green, according to its different species, the season, as well as local environment. 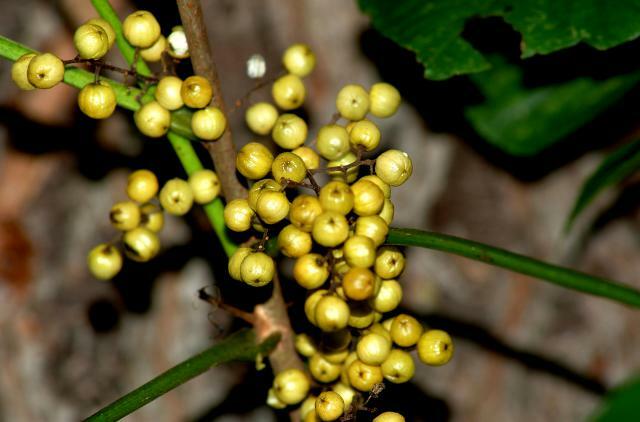 It may have green or yellow flowers, with white to yellow-green berries, which depend on the time of year. Poison ivy plants typically grow as a trailing vines or shrubs. They can also grow as a climbing vine on trees and fences. They blend in easily with other plants, so you need to be extra careful and watch out for them when hiking into the woods. Poison ivy is found throughout North America, although typically not in Alaska, Hawaii or desert environments. They grow in the open fields, woody areas, along riverbanks, and by the roadside. They thrive even in urban areas, so you may find them in your own backyard or parks. Poison ivy can cause a skin rash that develops as an allergic reaction to urushiol,an oily substance found in the plant’s leaves, stems and roots. Unfortunately, this substance may remain active even after you destroy the plant. Contact dermatitis develops as a skin rash triggered by direct contact with the plant. However, you can also get the itchy rash through contaminated pet's fur, clothing, garden tools, or other things that had contact with the plant. Burning the plant can lead to airborne contact if particles of urushiol land on your skin, or if they are inhaled. You can develop sensitivity to the resin once you first come in contact with it. 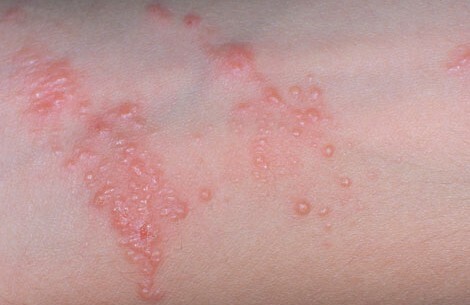 You may not develop the rash on the first contact, but with repeated exposures, your sensitivity increases and this ultimately leads to the development of a painful, itchy rash. Very few people never develop the characteristic allergic reaction to poison ivy’s urushiol. What Are the Symptoms of a Poison Ivy Rash? Poison ivy rashes cause symptoms like redness of the skin, severe itching, blisters and inflammation. You may also develop difficulty breathing, especially if you have inhaled smoke from a burning plant. The rash usually looks like a straight line. This is because the plant usually brushes on your skin in this manner. However, if your pet’s fur or a piece of clothing that contain urushiol touches you, the rash may spread out. Touching the contaminated part with your fingers also makes the rashes spread to other parts of your body. The severity of your rashes depends on how much urushiol gets to your skin. These reactions may develop even after several hours and may last for 2-3 weeks. If you want to avoid this unpleasant experience, you have to be sure to know what does poison ivy look like. When Should I See a Doctor for Poison Ivy Rash? How Can I Treat Poison Ivy Rash at Home? The first thing to do is to rinse your skin immediately with warm, soapy water. This will help rinse off the oil. Remove your clothing and wash them thoroughly. The oil sticks to clothes, and if they touch your skin, you can have another rash. Avoid scratching since this can spread the oil or cause an infection. Don’t touch the blisters. Avoid removing the overlying skin, even if they open, since the skin protects the raw area underneath and prevents infection. Take lukewarm baths to reduce itching. Keep your baths short and use colloidal oatmeal preparations. You can also add a cup of baking soda to you bath water. A short, cool shower may help soothe you skin. Apply calamine lotion or a hydrocortisone cream to itchy skin. Use cool compresses to soothe itchy skin. Wet a clean hand towel or cloth with cold water and apply on the affected skin. Take antihistamine pills. They can help reduce itching, but use with caution. Possible side effects include drowsiness, so do not drive or do heavy work when taking it. See a doctor or a dermatologist if your rash does not improve after 7-10 days, or if your symptoms get worse. How Can I Prevent Having Poison Ivy Rash? First, answer the question: what does poison ivy look like? If you know the answer now, it’s easier to avoid. To prevent exposure when you go out, wear clothes with long sleeves and long pants as well as socks, especially in places where the plant is known to grow. If you are doing yard work, use leather or vinyl gloves. Latex gloves, cotton gloves, or wool gloves cannotprotect you from poison ivy. 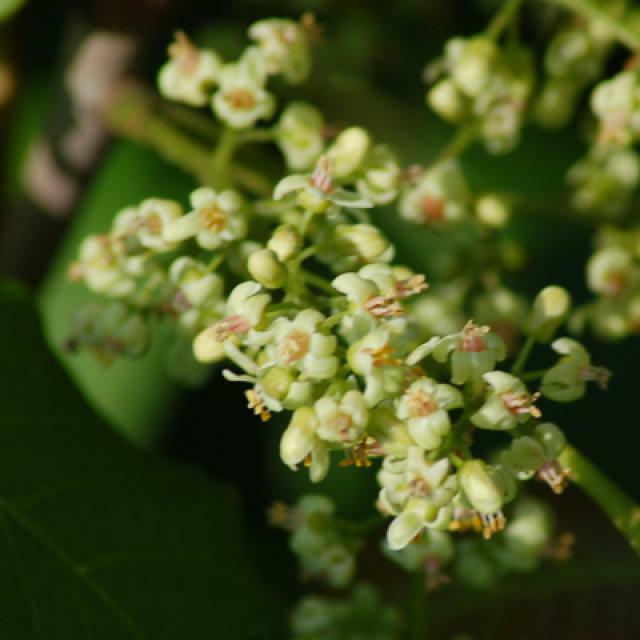 If you find poison ivies in your garden, remove the plants, but do not burn them. Smoke coming from burning plants can also cause dangerous reactions.